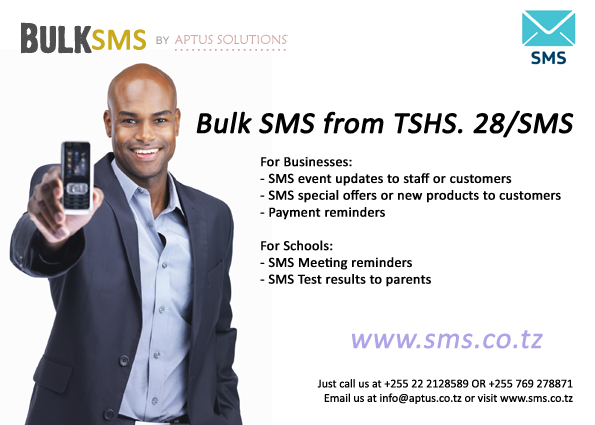 Aptus BulkSMS provides unrivaled SMSC connectivity for your needs; wether it be to communicate with your clients or for sending alerts. We can integrate your current applications to provide SMS alerts and notifications. Tanzania: Airtel, TiGo, Vodacom, Zantel. To get a complete coverage list, Please contact us. - Clubs/Societies: Message event information and/or changes.